On the occasion of BR Ambedkar’s 125th birth anniversary, Chief Minister N Chandrababu Naidu on Thursday would lay the foundation stone for double bedroom houses at Jakkampudi in Krishna district in Vijayawada. Over six lakh double-bedroom houses are to be constructed in AP for the poor. 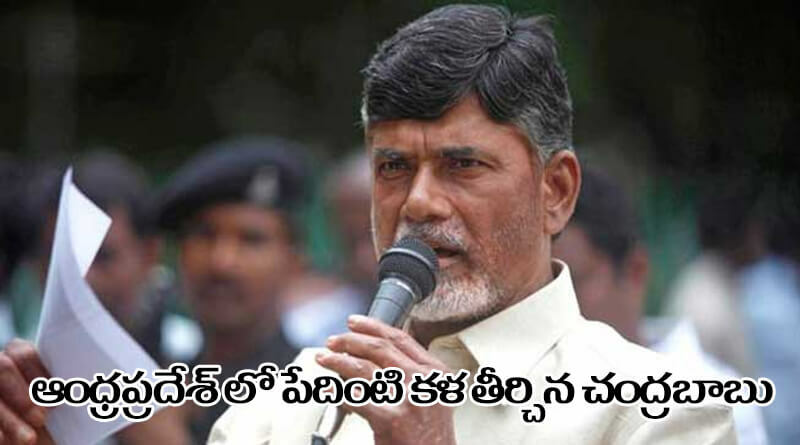 Chandrababu Naidu had earlier said that it is a dream of every person to own a house and the TDP government will be fulfilling the dream at a cost of Rs. 16,000 crores in the state. Housing Minister Kimidi Mrunalini said that the government will construct six lakh houses for the poor and weaker sections under the NTR Housing Scheme that will be launched in 774 villages on Thursday by the people’s representatives in 126 Assembly constituencies.